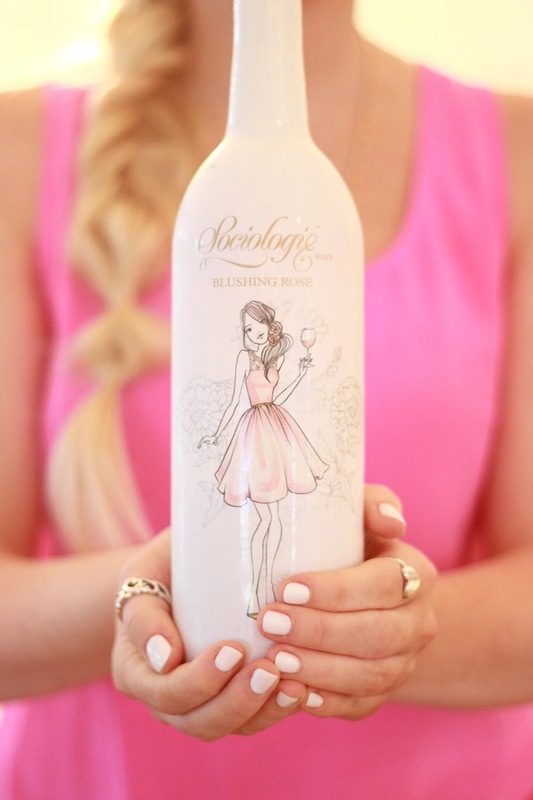 Sociologie sent over some of their new wine to sample and I really enjoyed it! I saved the wine for girls night at Alina's house (the Sassy Gator). My favorite was the Blushing Rose which was light and floral and Alina liked the Red Berry! Sociologie just expanded their market and the wine is now sold in Florida at Winn Dixie! The bottles I received came in a gift set with the glasses, which would make a perfect hostess gift. 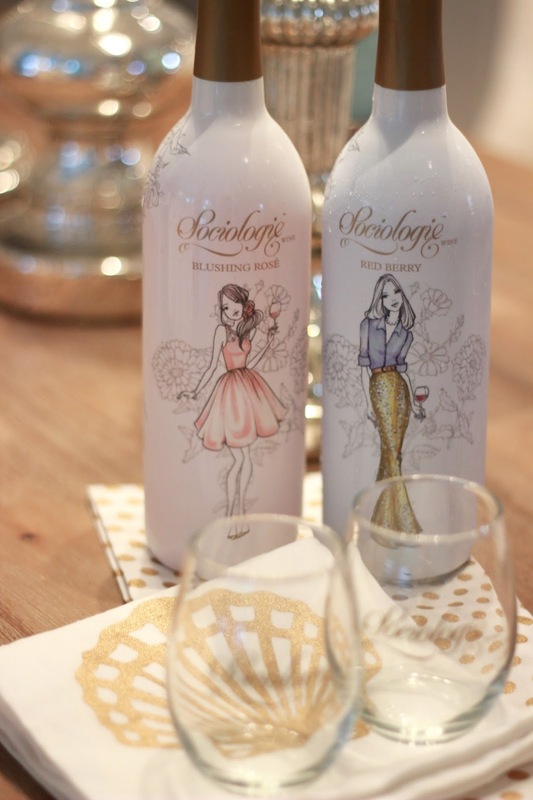 I love how pretty the white bottles are and how cute the illustrations are on the front. These wines are affordable, adorable, & delicious! Next time I want to try their "Glamorous Rose" recipe using the "Blushing Rose"